So, more plumbers, and the water heater installed. 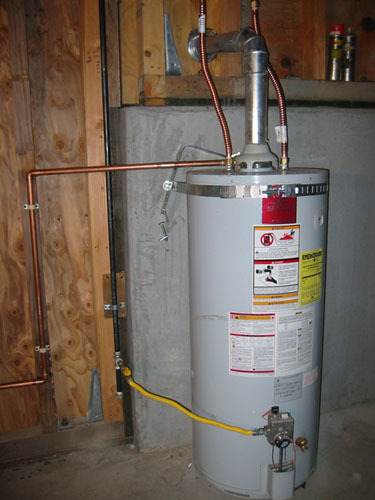 We ended up moving the water heater from the very back of the house (where there will eventually be no plumbing at all) to the middle of the house (where there will be lots of need for hot water served up fresh). 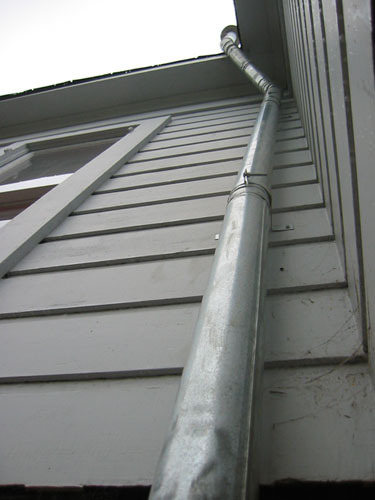 This made for a much better location for the exhaust vent for the heater, inside a corner of the house where it is protected from the worst of the winter winds. And the heater itself, a thing of beauty. Hot water is a bit slower getting to the bathroom, but that's not a horrible tradeoff for having half the plumbing in the right place for the future work.